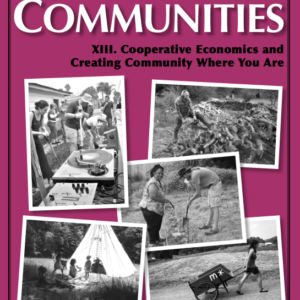 What is it like to live in an ecovillage, cohousing neighborhood, or intentional community? 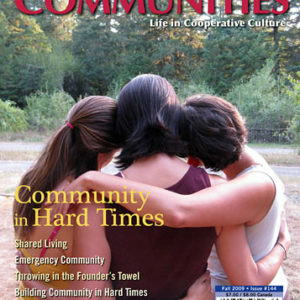 Communities magazine addresses these questions, and shares new models for society. 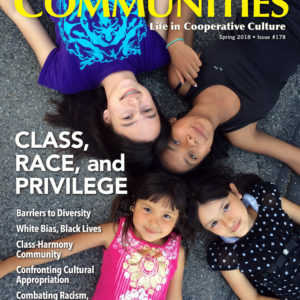 For nearly 45 years this magazine has connected people to the pulse of the communities movement, by chronicling the people, organizations, methods and ideas making it so. Discover inspiring examples of cooperation and creativity, as people work together to solve problems and create a better, more equitable, and ecological world. 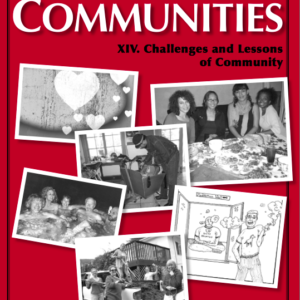 Each quarterly issue focuses on a different theme, such as: Food and Community, Community and the Law, The Many Faces of Community, Finding or Starting Community, etc. Subscribe to Communities above to read the pulse of the communities movement! 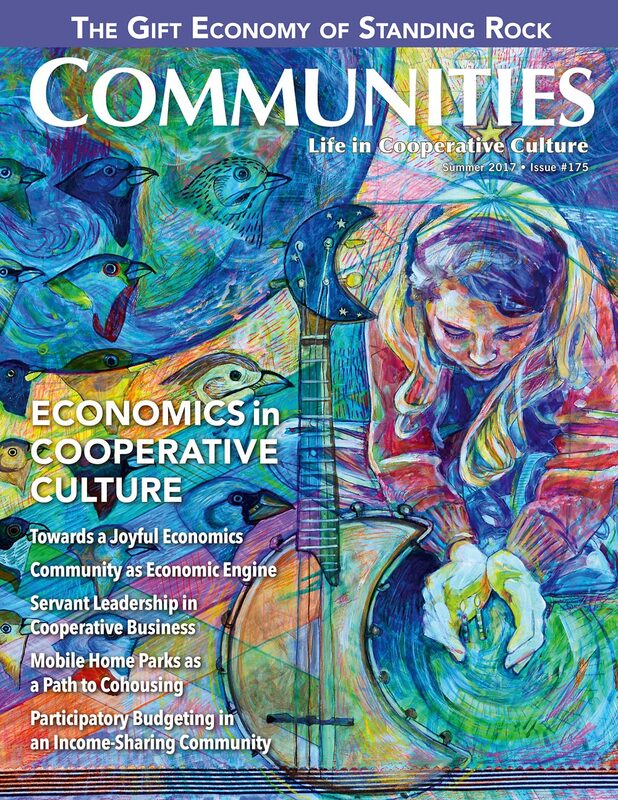 A Communities magazine subscription brings you four 80-page quarterly issues chock-full of information, inspiration, and personal stories about how to build and sustain community. 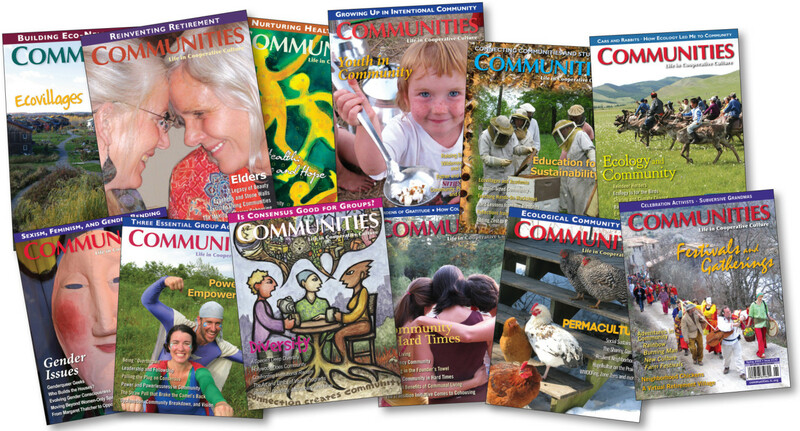 If you are part of a group, Communities magazine can help you live and work together more cooperatively; if you are an individual or family looking for community, we can inspire your search, and provide resources to aid your journey. Each issue is organized around a theme — recent ones include Ecovillages, Diversity, Spirituality, Permaculture, Right Livelihood, and Intimacy. 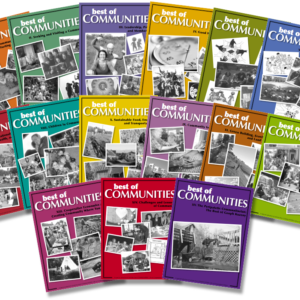 Please see the many back issues whose contents are excerpted on our website. Each subscription comes with the option to download digital issues. Or one may opt for a digital only subscription. Digital issues are available for download within 90 days of their release by going into ‘My Account’. Some locations do not receive surface mail in a reliable fashion. If you think that your location may be subject to this problem, please choose the ‘Speedy Delivery’ option. No, send me print magazines please., Yes, digital only please.